Blockobana will be taking up space at Caribana with queer Black pride on August 6 in Regent Park. It was evident last year after Black Lives Matter Toronto, and other queer Black activists, stopped the Pride parade, that many members of Toronto’s LGBTQ community saw queerness and blackness together for the first time. Now, with Caribana in full swing, it would probably surprise many in the city to learn that there have been queer parties at Caribana for as long as Caribana has existed. Caribana is widely seen by some as an unfriendly event to queers. Frequent questions end with, “Why doesn’t Black Lives Matter shut down Caribana?” This erases the many Black queer and trans people who are visible, organizing and breaking down barriers every year at Caribana. Caribana—now celebrating its 50th anniversary year—is significantly important to many Torontonians, and that is certainly true for the city’s African and Caribbean LGBTQ communities. Queer and trans people people have always been here, taking up space at Caribana, celebrating blackness and queerness. Caribana is extremely queer, because queer people make spaces queer wherever they go, period. 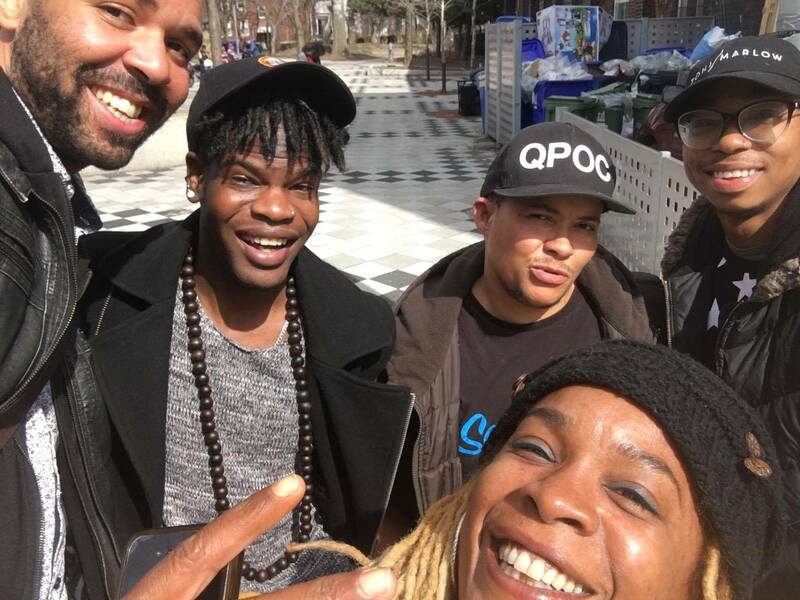 At the epicentre of this burgeoning weekend of queer Black pride, is the fifth iteration of Blockobana, the brainchild of Blackness Yes, a volunteer-based community group that has been organizing at Toronto Pride for almost 20 years. Blockobana is to Caribana what Blockorama is to Pride. The event serves not only to close the divide between the city’s intersecting Black communities, but also to quell the perceptions of those communities’ association to queerness. Queerness in the diaspora remains a complicated intersection, largely a result of the history of colonialism and imposed ideas of heteronormativity and masculinity through religion and British imperialism. This year, on August 6, as part of Summer Series at Daniel’s Spectrum in Regent Park, Blockobana is back and as queer as ever. International DJ/producer Osunlade returns to Toronto to headline the one-day festival with his signature soulful house and afrobeat sound. The party has moved from Barbara Hall Park to Regent Park’s “Big Park” beginning at noon and features local legends Blackcat, Nik Red, yours truly, and many more, spinning soulful house, dancehall, afrobeat, R&B, hip hop, and soca. Importantly, Blockobana is influenced by the Black diaspora—Africa as much as the islands. Organizers at Blackness Yes understand the oneness in the multitude of Black lived experiences, the importance of representing the community where the event takes place, and that Black pride is for all of us. 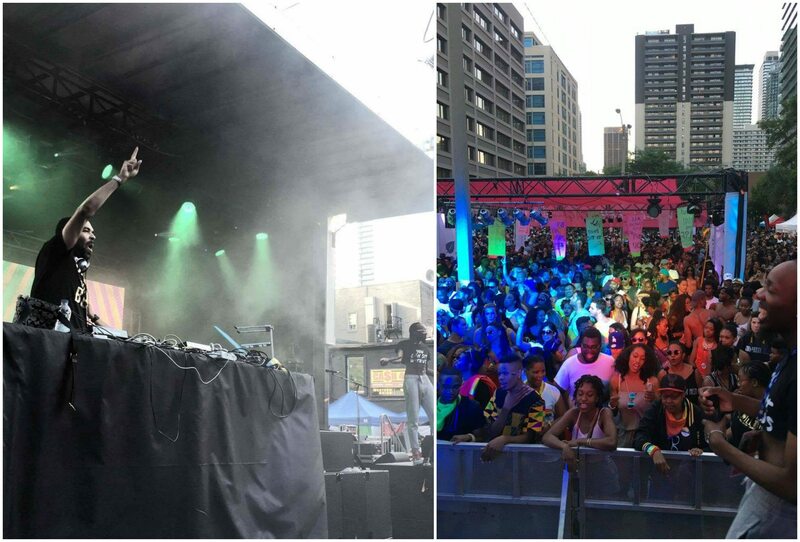 Blockorama, also known as “Blocko,” on Pride Sunday proves that creating space at Pride for queer people of African and Caribbean descent is still a radical act in many LGBTQ spaces. And Blocko shows just how intergenerational our spaces are. Thousands routinely pack a nondescript parking lot every year with friends, children, and family to create magic through art, dance, and music. Each year, there are countless stories of violence over Caribana weekend, despite that the last reported case actually related to the festival was back in 2011. This has lead to over policing and casts a shadow over Caribana, and we see the magic of our gathering erased or diminished and labelled dangerous. What people fail to see are the groups of grandmothers riding the subway on their way to the parade, the joy in every savoured morsel of food, the revolutionary act of dancing freely to music made by Black people for Black people, and that queerness is just as valid an expression over the weekend as any other. We cannot divorce ourselves from magic or joy and we cannot divorce blackness from our queerness, or vice versa, and those that want us to were never invited to the party anyway. DJ Craig Dominic is the team lead with Blackness Yes, organizing Blockorama, Pride Toronto’s largest and longest running stage.